Development company American Lithium is furthering its presence in the battery metals space through the acquisition of a vanadium asset. Nevada-focused development company American Lithium (TSXV:LI) has furthered its presence in the battery metals space through the acquisition of a vanadium asset. The lithium explorer purchased a 100-percent stake in the Extinction Ridge vanadium project, also located in Nevada, from private company Alaska Nevada Mining. The deal, which is still contingent on regulatory approval, will see American Lithium pay US$100,000, as well as issue 250,000 common shares. The Extinction Ridge project, which is comprised of 52 claims, is located in what is considered a vanadium robust jurisdiction with several explorers and near term producers in the area. In fact, American Lithium’s latest acquisition, Extinction Ridge, is positioned in the middle of a north-south trend between First Vanadium’s (TSXV:FVAN) Carlin project and Prophesy Development’s (TSC:PCY) Gibellini project. 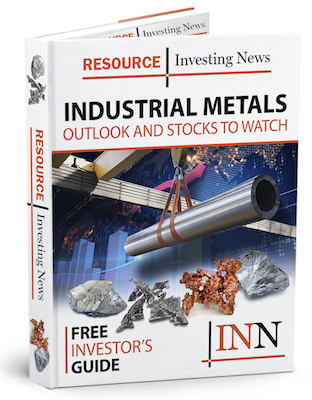 “Extinction Ridge is a high-quality exploration asset that represents another critical metal in today’s energy sector and its location affords us the ability to conduct exploration programs concurrent with our related operations in Nevada,” American Lithium CEO Mike Kobler said in the press release. American Lithium will now need to decide what its next steps will be for the project. “Although we have yet to decide the role this asset will play within our longer term asset strategy, its location, acquisition cost and surface exploration results, presented a decisive project opportunity to be seized,” added Kobler. Vanadium demand is expected to steadily grow over the coming years, as the battery metal becomes increasingly used in the energy storage sector. Vanadium prices spiked to a 13-year high in 2018 driven by stringent regulations in the Chinese construction sector calling for more vanadium in steel production, as well as increased use in the redox flow battery space. Shares of American Lithium were down 5 percent on Tuesday, trading at C$0.38.